The Dorchester Historical Society has come under criticism for using this awkwardly worded slogan, which has since been removed from its website. An awkwardly worded holiday greeting card has prompted the Dorchester Historical Society to issue a public apology. The postcard featured the slogan “We’re dreaming of a white Dorchester,” along with an image of the Dorchester Historical Society’s headquarters inside of a snow globe, and surrounded by falling snowflakes. The illustration had been used to promote the historical society’s upcoming holiday open house on Dec. 9. 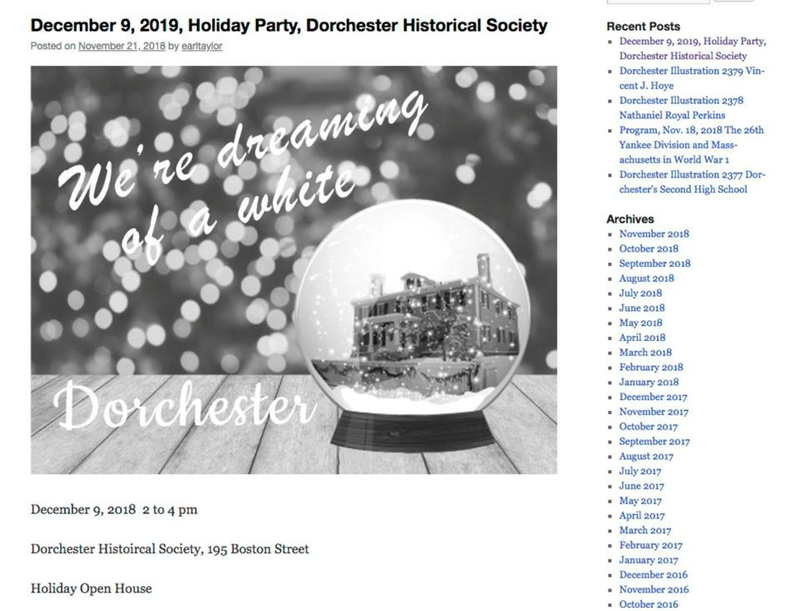 When concerns were raised about the slogan, the Dorchester Historical Society tweeted a public apology and said it was meant to be a playful twist on the lyrics to “White Christmas,” and nothing more. In a separate tweet, the historical society explained that the postcard never should have been printed. When Boston Mayor Martin J. Walsh was asked to comment on the gaffe, Walsh said he believed the historical society made an “honest mistake,” and noted that it’s a nonprofit organization with limited resources that is run by volunteers.